Thanks to:Jean-Pierre Berthet, Michael Cuscuna, Yvan Fournier, Dieter Hartmann, Hubi Horst, Jørgen Jepsen, Jörg Koran, Georges Mathys, Kurt Mohr, Dan Morgenstern, John Norris, Ted O'Reilly, Michel Ruppli, Mario Schneeberger. Revision note: We have added a broadcast (a copy of which has yet too be found" from a "Jazz in der Aula" concert that took place in Baden, Switzerland on May 1, 1971. Illinois Jacquet (ts), Milt Buckner (org), Alan Dawson (dr). 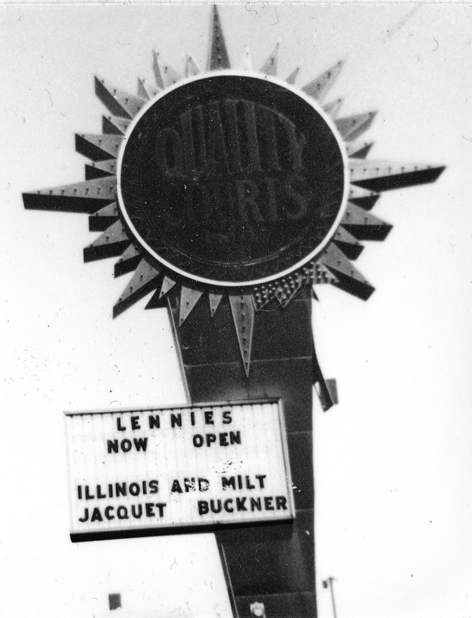 Outside Lennie's on the Turnpike, possibly March 1966. From the Otto Flückiger collection. 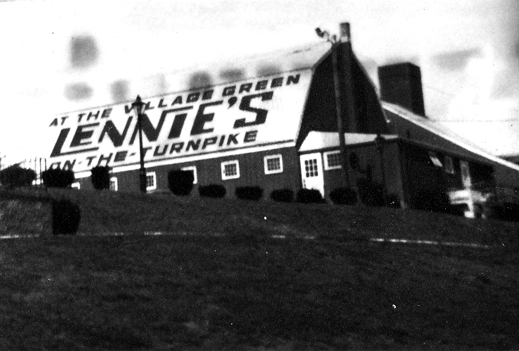 Lennie's on the Turnpike, possibly March 1966. 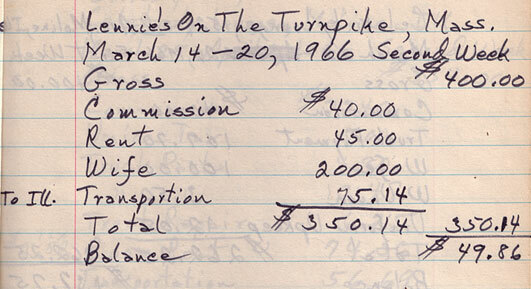 Excerpt from Buckner's account book for 1966. Roy Eldridge (tp, except-1), Illinois Jacquet (ts), Milt Buckner (org), Jimmy Woode (b), Jo Jones (dr). We do not know, which tracks were recorded on which day. The Title of Esoldun FCD 103 is "Play, Milt Play". Thanks to Yvan Fournier for mentioning Blu Jazz BJ010CD, "The Uptown Swing all stars à Paris", which apparently has the correct titles for some of the tunes. Milt Buckner (p), Jimmy Woode (b), Jo Jones (dr). 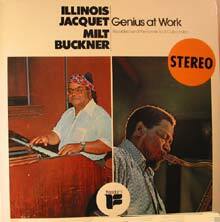 Note: Also released as Saba 5D064D60406, MPS CRM 631 and as Prestige PR7668, "Milt Buckner In Europe". 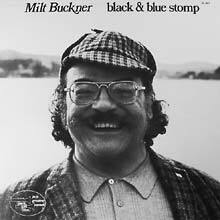 MPS 22 22722-7 is a 2LP set, titled "Milt Buckner: Chordpunch", released 1976. 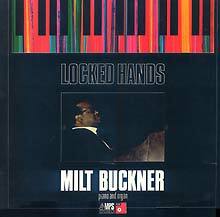 MPS 5290942 is a CD released in 1995, titled "Milt Buckner: Masterpieces". Milt Buckner in the mid-sixties. Photographer, date and location unidentified. 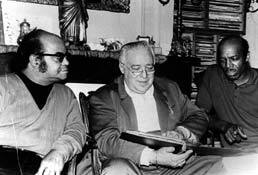 Buddy Tate (ts, except-1)), Milt Buckner (p) Wallace Bishop (dr). Note: Basic Information about this and the other Black And Blue titles from Ruppli. 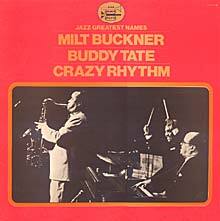 Black & Blue 33013 is titled "Milt Buckner: Them There Eyes", Black & Blue 33014 is titled "Buddy Tate Featuring Milt Buckner", Black & Blue 33018 is titled "Milt Buckner / Buddy Tate: Crazy Rhythm" Black & Blue 333026 is titled "Milt Buckner / Buddy Tate: Midnight Slows". It is not clear at which point of the session "Blues For Flirters" was recorded. Black & Blue 33602 and 33603 were 45rpm-singles. Polydor 2670.170 is a sampler of Black & Blue material, it's title is "Boogie Woogie And Slows". Polydor 2670.177 is a sampler with material taken from different Black & Blue sessions (not only "Midnight Slows" sessions). It is also titled "Midnight Slows". Johnny Letman (tp, voc), Hal Singer (ts), Milt Buckner (p, org), Tiny Grimes (g), Wallace Bishop (dr). probably July 31 or August 1 1968. Note: -1 = Buckner and Bishop only; -2= Letman out; -3=Letman and Grimes out. 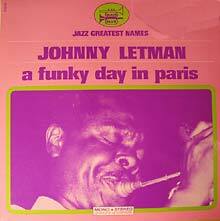 Johnny Letman (tp-1, voc), Milt Buckner (p), Tiny Grimes (g, voc), Jacky Samson (b), Wallace Bishop or Michel Denis-2 (dr). Milt Buckner (org-1, p), Tiny Grimes (g), Jacky Samson (b), Wallace Bishop(dr). 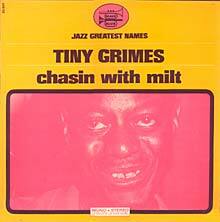 Note: Black & Blue 874 is a CD called "Tiny Grimes: Some Groovy Four". Illinois Jacquet (ts, bassoon-1), Joe Newman (tp), Milt Buckner (p, org), Billy Butler (g), Al Lucas, b, tuba? ), Jo Jones (dr), Montego Joe (conga, bongo). Prestige 4426 is a 4CD set titled "The Prestige Records Story". Milt Buckner (p, org-1), Jimmy Woode (b), Kenny Clare (dr). Note: Saba MPS15199 also released as BASF BAB 5049. BASF BAB 9004 is a sampler entitled "Piano Power: A Panorama Of Jazz Piano Styles", it was also released as MPS 10 22573-9. 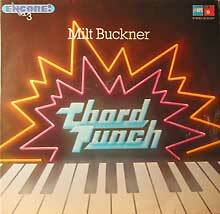 MPS 22 22722-7 is a 2LP set, titled "Milt Buckner: Chordpunch". 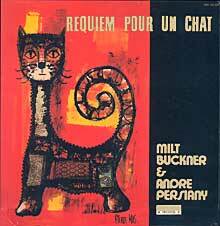 MPS 5290942 is a CD released in 1995, titled Milt Buckner: Masterpiecesì. 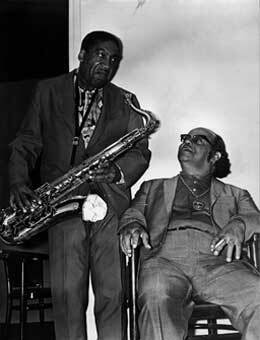 Bill Coleman (tp), Ben Webster, Buddy Tate (ts), Milt Buckner (org), Joe Turner (p), Jimmy Woode (b), Wallace Bishop (dr). Antwerpen, Belgium, September 6, 1968. Note: Information from "BEN - A Discography" by Langhorn and Sjøgren. 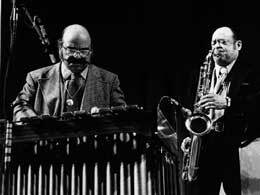 There may be more titles from this concert without Ben Webster. Davout Studio, Paris, September 9, 1968. Note: Black & Blue 33605 is a 45rpm single. Black & Blue 333063 is a sampler called "Boogie Woogie Masters". Thanks to George Mathys for a copy of the unissued material. Lucky Thompson (ss-1), Buddy Tate (ts-2), Milt Buckner (org), Wallace Bishop (dr). 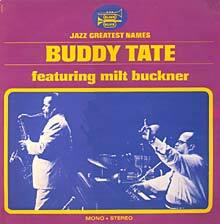 Buddy Tate (ts, except-1), Milt Buckner (p) Wallace Bishop (dr ). Note: "Little Miss Maudlin" was erroneously titled "When You Wish Upon The Stars". For the rest of this LP see december 7, 1967. 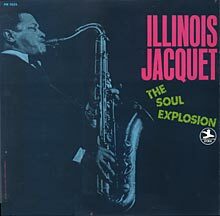 Illinois Jacquet (ts); Joe Newman (tp solo); Ernie Royal, Russell Jacquet (tp); Matthew Gee (tb); Frank Foster (ts); Cecil Payne (bars); Milt Buckner, (p, org, arr-1); Wally Richardson (g); Al Lucas (b, eb), Al Foster (dr). Milt Buckner (p), Jimmy Woode (b), Kenny Clare (dr). Note: Also released as MPS (EU) 21.20703. 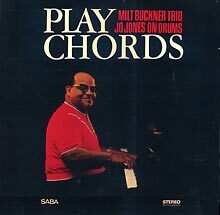 MPS 22 22722-7 is a 2LP set, titled "Milt Buckner: Chordpunch". 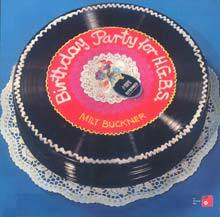 MPS 5290942 is a CD released in 1995, titled "Milt Buckner: Masterpieces". Milt Buckner (p, org), Jo Jones (dr). 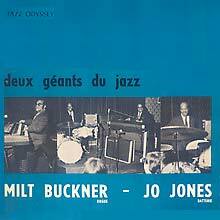 Milt Buckner (org), Jo Jones (dr). Note: According to Jean-Pierre Berthet these tracks were recorded in Biarritz. Source: Bulletin du Hot Club de France. According to the liner to Jazz Odyssey 004, these tracks were released on Jazz Odyssey 001 and 002 ("L'Aventure du Jazz I " and "L'Aventure du Jazz II"). We do not know, which track(s) were on which LP. 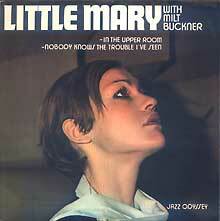 Jazz Odyssey 005 is a rerelease of these two LPs as one 2LP. Jazz Odyssey (F)005 is the soundtrack LP "L'Aventure Du Jazz". 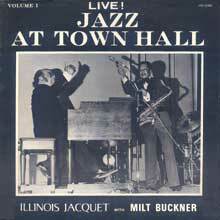 Milt Buckner (p), J. 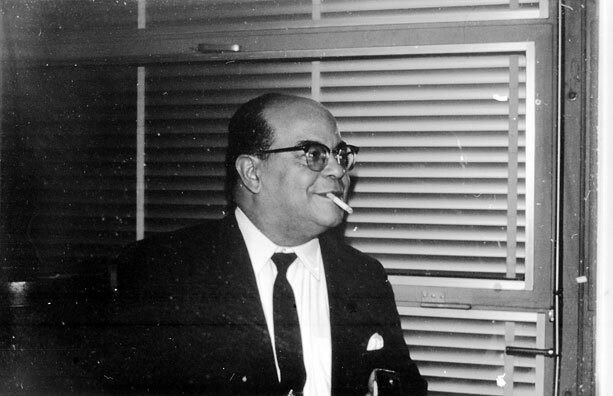 A. Rettenbacher (b), Kenny Clare (dr). 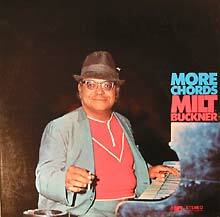 Note: MPS 22 22722-7 is a 2LP set, titled "Milt Buckner: Chordpunch". 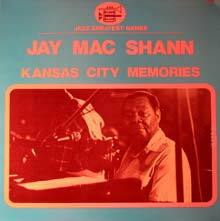 Jay McShann, Milt Buckner (p), Eric Ponsa (b), Paul Gunth (dr). Illinois Jacquet (ts, voc-1), Milt Buckner (org), Tony Crombie (dr). Illinois Jacquet (ts), Milt Buckner (org), Tony Crombie (dr). Note: There are lot of issues with this material. BLP 2661006 is a 2LP sampler titled "Jazz At Black Lion". Milt Buckner (p), Slam Stewart (b), Jo Jones (dr), Big Joe Turner (voc-1). 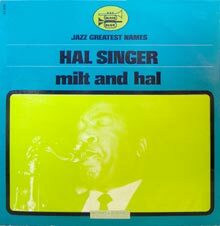 Note: The title of Esoldun FCD 103 is "Play, Milt, Play". 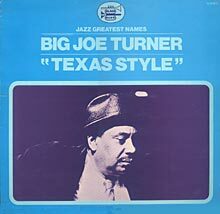 Thanks to Yvan Fournier for mentioning Blu Jazz BJ029CD, which is simply titled "Milt Buckner, Slam Stewart, Jo Jones, Big Joe Turner". The correct title for "Feelin Sorta of Willington" is "Feelin Sorta of Villingen". Thanks to Arild Widerøe for information about this broadcast made by Radio Studio Basel (DRS). It was broadcasted in two parts. Persons who are in possession of copy please contact Arild Widerøe or Armin Büttner. 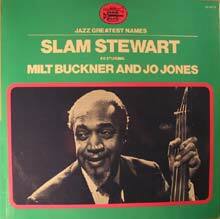 Milt Buckner (p), Slam Stewart (b), Jo Jones (dr). Big Joe Turner (voc), Milt Buckner (p), Slam Stewart (b, voc), Jo Jones (dr). Note: B & B 333028 = B & B33547. All titles from 333028 also issued on 59547-2. It is not clear wheather Black & Blue 943, the CD issue of this material contains any previously unissued items. Thanks to Arild Widerøe for information about the CD Jazz Odyssey JOCD05 "Buck & Jo volume 1" released 2008. Jodie Drake (voc), Milt Buckner (org, arr), Gary Binstead (g), Bob Price (b), Al De Bartee (dr). Milton Buckner (org), Jo Jones (dr). Note: Jazz Odyssey (F)007 is a 2LP set. Date and location from the liner notes. 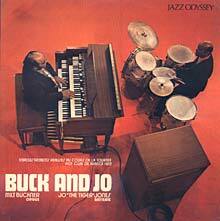 Thanks to Arild Widerøe for information about the CD Jazz Odyssey JOCD05 "Buck & Jo volume 1" released 2008. The liner notes to this CD give the location as Boulogne. Little Mary Anglade (voc), Milt Buckner (org), Jean-Pierre Sasson (g-1), Roland Lobligeois (b-1), Michael Silva (dr-1). Thanks to Kees Bakker and Jean-Pierre Berthet for information about this session. Jazz Odyssey 014 is a Various Artists LP titled "Jazz Odyssey - Inedits". Milt Buckner (org, p), Thornel Schwartz (g), Bob Blackwell (b), Harry "Skeets" Marsh (dr). Thanks to Jean-Pierre Berthet for information about the CD Jazz Man JAZ-5012. Cat Anderson, Jimmy Owens (tp), Charles McPherson (as), Buddy Tate (ts), Milt Buckner (org), Roland Hanna (p), Charles Mingus (b), Alan Dawson (dr). 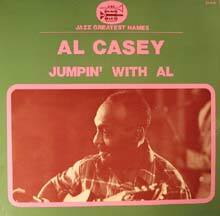 Note: Look under February 27, 1974 for other items on Jazz Odyssey (F)011 , "Blues For Diane". Jazz Odyssey 014 is a Various Artists LP titled "Jazz Odyssey - Inedits". Milt Buckner, André Persiany (p), Roland Lobligeois (b), Roger Paraboschi (dr). What A Mess For A Bass! Milt Buckner (org), Clarence "Gatemouth" Brown (g), Chris Columbus (dr). Thanks to Jean-Pierre Berthet for information about Black & Blue 33561 and Black & Blue 59561-2 , samplers titled "More Stuff". Milt Buckner (org), Clarence "Gatemouth" Brown (g), Roland Lobligeois (b), Chris Columbus (dr). Note: Black & Blue 9061-1 is the CD issue of this material. 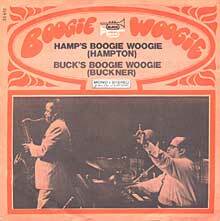 Black & Blue 333063 is a sampler called "Boogie Woogie Masters". Illinois Jacquet (ts-1); Arnett Cobb (ts-2); Milt Buckner (org); Panama Francis (dr). Note: There are different titles for the second track on label and cover of JRC-11433. 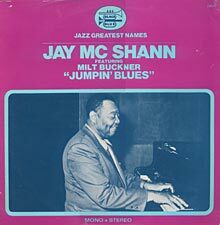 JRC-11433 was later released on a Classic Jazz CD (number unknown) under the title "Blues From Louisiana"
Jay McShann (p, voc), Milt Buckner (p), Roland Lobligeois (b), Paul Gunther (dr). Note: Black & Blue 59057-2 is the CD issue of this material. Thanks to Arild Widerøe for information about Black & Blue 965.2 which reissues 59057-2. 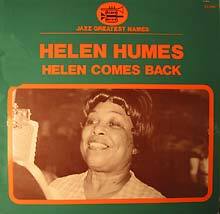 Helen Humes (voc), Arnett Cobb (ts), Jay McShann (p), Milt Buckner (org), Al Casey (g), Roland Lobligeois (b), Paul Gunther (dr). Floyd "Candy" Johnson (ts), Milt Buckner (p, org), Al Casey (g), Roland Lobligeois (b), Michael Silva (dr). Floyd "Candy" Johnson (ts), Milt Buckner (org), Clarence "Gatemouth" Brown (g), Michael Silva (dr). Arnett Cobb (ts), Milt Buckner (org), Clarence "Gatemouth" Brown (g), Michael Silva (dr). 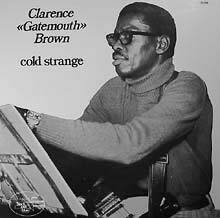 Same date and personal, Brown also sings. Note: Black & Blue 333095 is a sampler titled "Dansez-Vous Le Bop?" Note: Black & Blue 936 is the CD issue of this material. Note: The Title of Black & Blue 33058, is "Candy's Mood". The CD issue, Black & Blue 884 is titled "Freight Train". It is unknown which previuously unissued take of "Jersey Bounce" it contains. 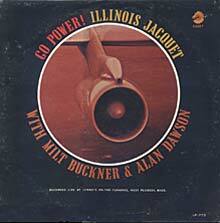 Black & Blue 333055 is titled Milt Buckner / Arnett Cobb / Candy Johnson: Midnight Slows Vol. 3". Note: Black & Blue 59057-2 are CD issues of this material. Helen Humes (voc), Arnett Cobb (ts), Jay McShann (p), Milt Buckner (org), Clarence "Gatemouth" Brown (g), Roland Lobligeois (b), Paul Gunther (dr.). Note: It is not clear which alternate take of "That Old Feeling" is contained on Black & Blue 871, the CD issue of this material. Arnett Cobb (ts), Jay McShann (p), Milt Buckner (org), Clarence "Gatemouth" Brown (g), Roland Lobligeois (b), Paul Gunther (dr). Note: Other items from this session without Buckner. 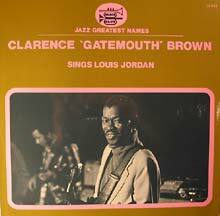 Evidence ECD 26019-2 is a CD titled "Clarence 'Gatemouth' Brown: Just Got Lucky". 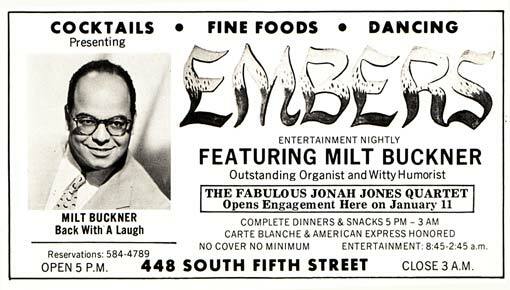 Arnett Cobb (ts, except-2), Milt Buckner (p), Roland Lobligeois (b), Michael Silva (dr), Jimmy Slide (tap dance-1). Milt Buckner (org), Clarence "Gatemouth" Brown (g), Michael Silva (dr). Helen Humes (voc), Arnett Cobb (ts-1), Floyd "Candy" Johnson (ts-2), Milt Buckner (p), Al Casey, Roland Lobligeois (b), Paul Gunther (dr). Note: t is not clear which alternate take of "Let The Good Times Roll" is contained on Black & Blue 871, the CD issue of this material. Floyd "Candy" Johnson (ts-1), Arnett Cobb (ts-2), Milt Buckner (org), Clarence "Gatemouth" Brown (g), Michael Silva (dr). 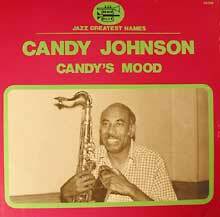 Note: Black & Blue 884 is a CD under Candy Johnson's Name. The Rest of it's tracks stems from the sessions recorded on July 30, 1973 and released as "Candy's Mood"